UK based AG’s Candy has launched Mr Egg and Mrs Egg, a milky and cocoa cream treat. 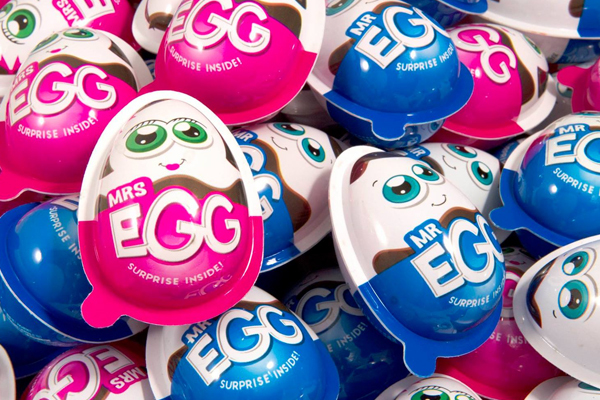 Mr Egg and Mrs Egg come in egg-shaped plastic packaging that separates, revealing two sealed halves. 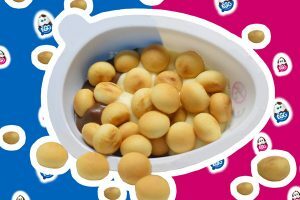 One side consists of crispy biscuit bites in milky, cocoa creams that comes with a spoon included. The other side contains a surprise toy for children to assemble, such as a dinosaur or puppy. Mr Egg and Mrs Egg will be sold nationwide in the UK and Ireland at convenience & grocery stores as well as other outlets. A new line is coming early 2019.